THE Occasions catalog and Sale-A-Bration brochure went live Wednesday, January 4. Occasions catalog: BRAND NEW seasonal products available through May 31 as a supplement to our annual catalog. SHOP MORE: If your order reaches $250+, you add another $25 in FREE Stampin' Rewards to the amount you already qualify for! JOIN: Build your own Starter Kit (100% customizable by you) where you choose $125 of any product you want but only pay $99 AND, during Sale-A-Bration only, add ANY 2 stamp sets of your choice (value up to $104!). The Kit ships FREE too which is yet another savings. See my Frequently Asked Questions HERE. On February 21, we will release another set of limited-time items! 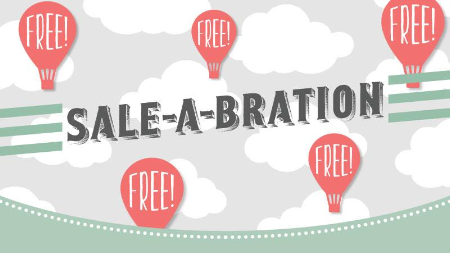 Sale-A-Bration is an ideal time to stock up on all your favorite cardstock colors plus basics such as the neutrals, ribbon, adhesives, embellishments, etc.... If you're going to buy it anyway, why not do it when you may qualify for free gifts? Between the $50 free Rewards and the FIVE free Sale-A-Bration items, it's a HUGE bonus to renew now or to place any order of $250 or more. Note: All catalogs were mailed via First Class (in an envelope) on Friday, December 23. If you did not receive yours and think you qualified for one free (by being an active customer of mine) please email me at margiecrafts@gmail.com ASAP. Thanks! 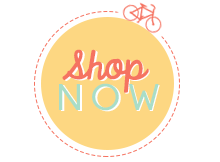 ORDER 24/7 BY CLICKING ON THE YELLOW BUTTON TO THE RIGHT OR CLICK HERE.